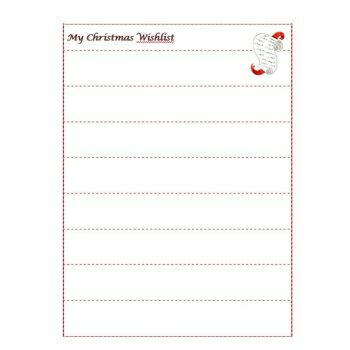 The most wonderful time of the year is coming around again and it’s time to start thinking of presents to give to the people you love. 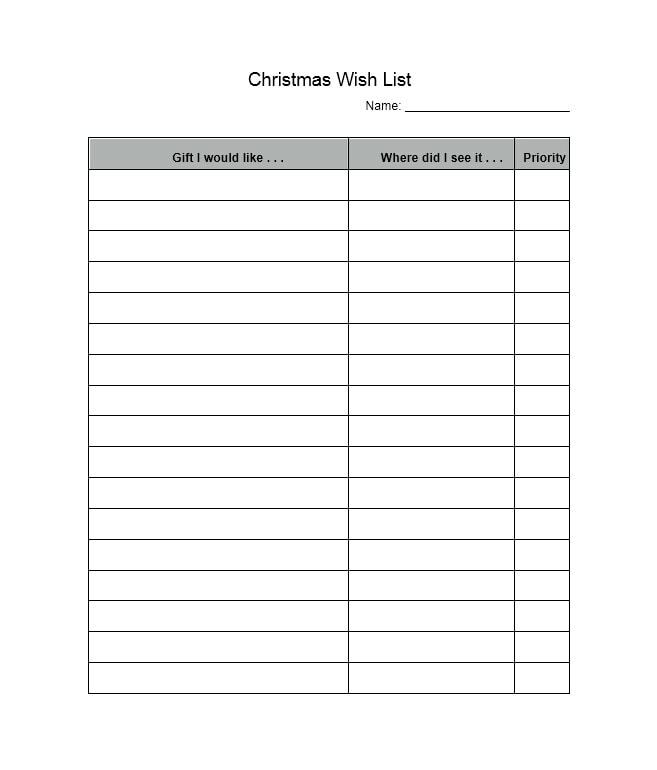 The process of giving gifts would be a lot easier if you pass around a Christmas wish list, either at the office or even with your family and loved ones. 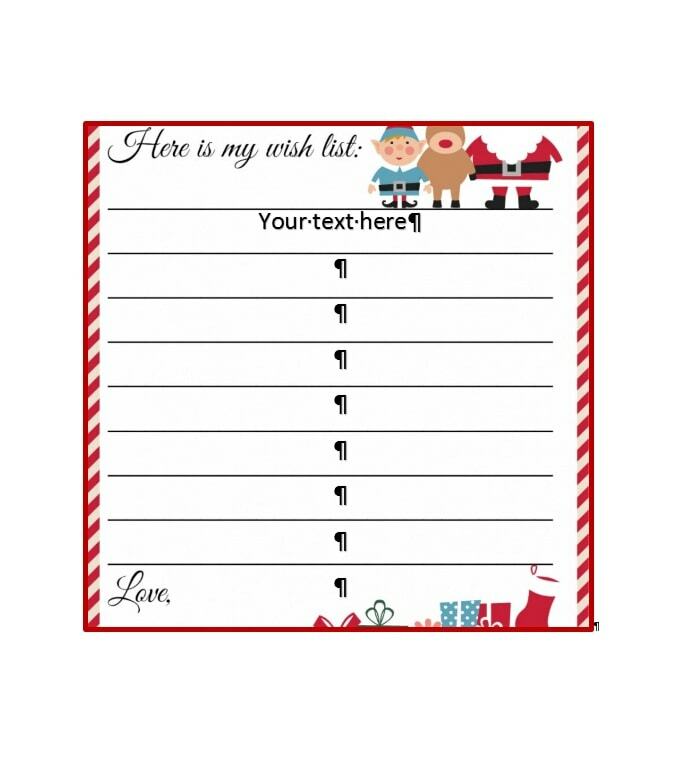 Once you know how to make your own Christmas wish list template, it would be easy for you to create one and pass it around! 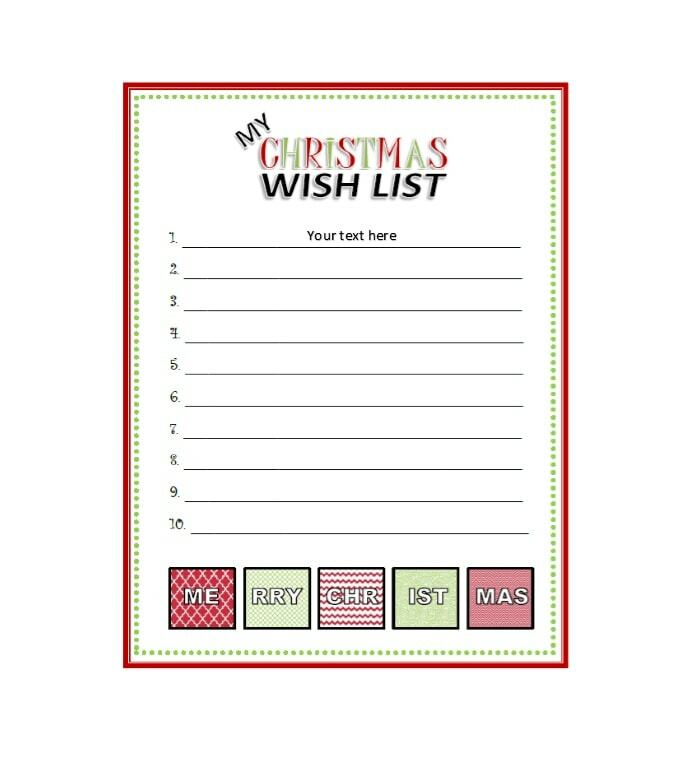 There are a lot of printable Christmas lists available online but you could also make your own so that you can customize and personalize it as much as you’d like to. 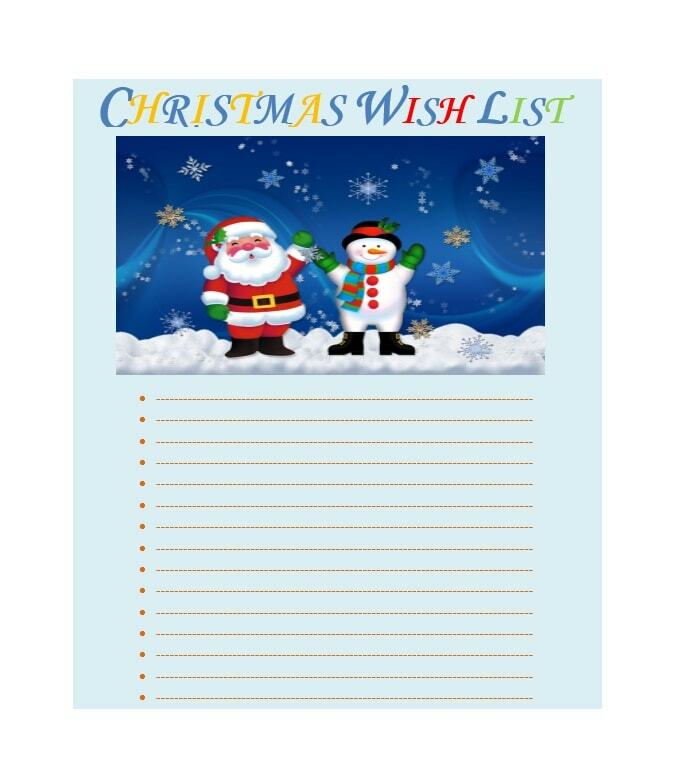 Christmas wish lists are both fun to make and beneficial, especially when you would like to know what your loved ones or the people at the office would like to receive for the holidays. 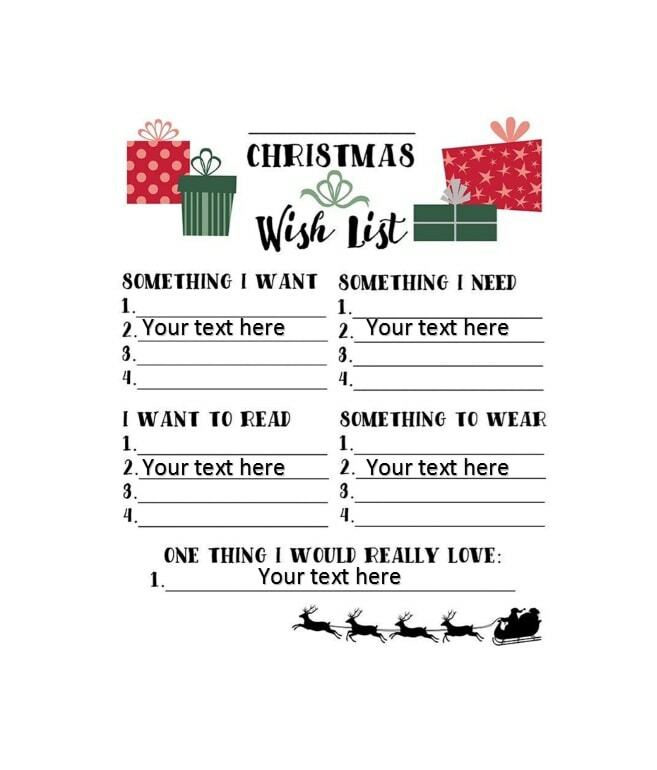 Giving out a Christmas wish list would give you an idea of what the people around you like and it even if you can’t actually find the specific items, you can go with something similar to them. 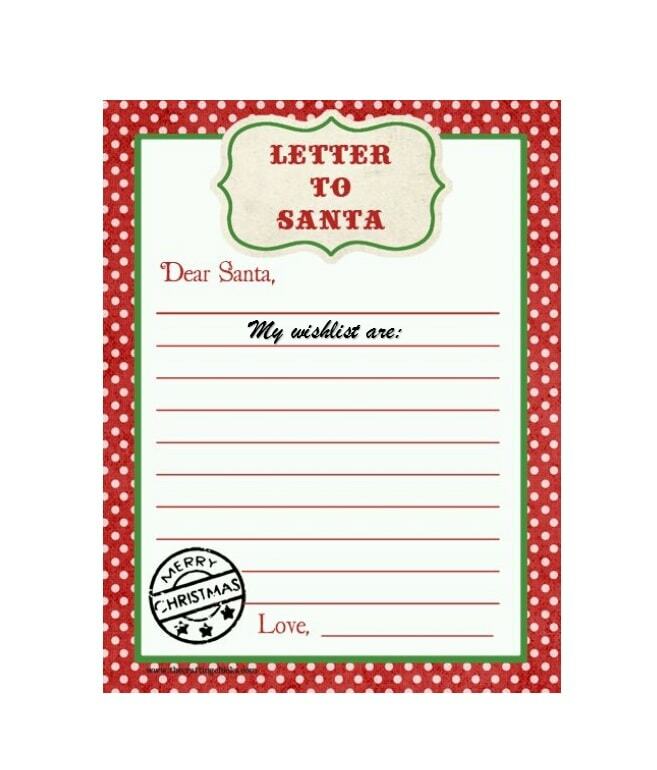 Fun as they are, Christmas wish lists also have a lot of benefits. 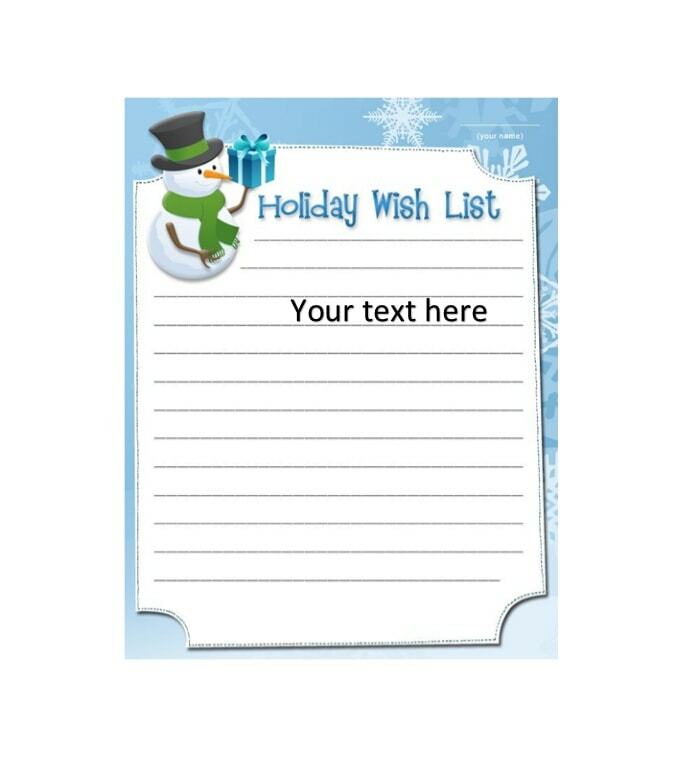 Once the holidays roll in, people get excited and you may be racking your brains thinking of the perfect gift to give to your loved ones. 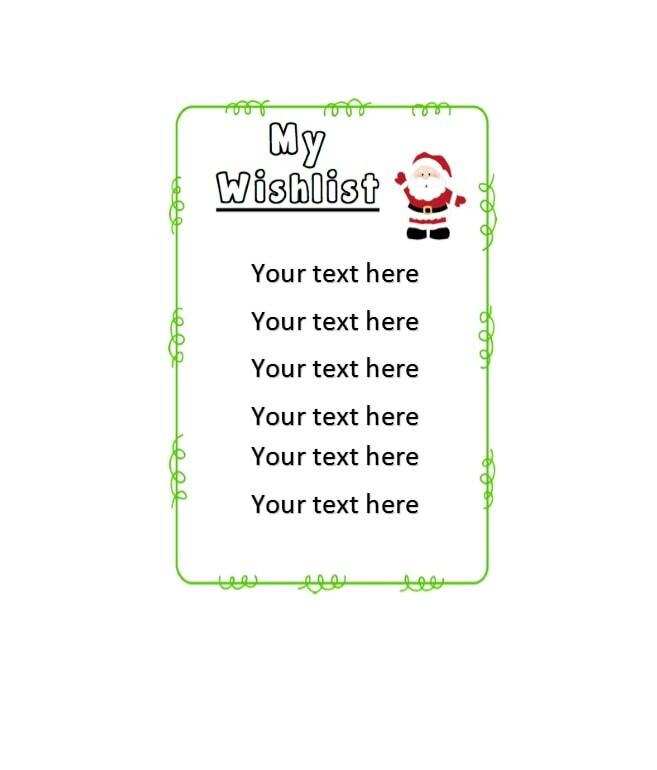 When you have a Christmas wish list and you give it to the people you plan to give presents to, you will know exactly what they want. 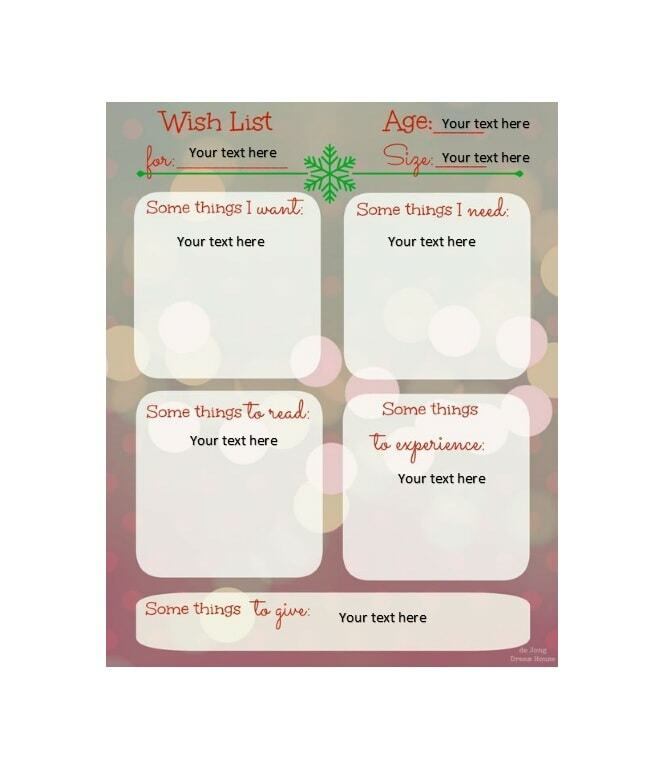 Knowing what people want will allow you to find the perfect gift for the people in your life. 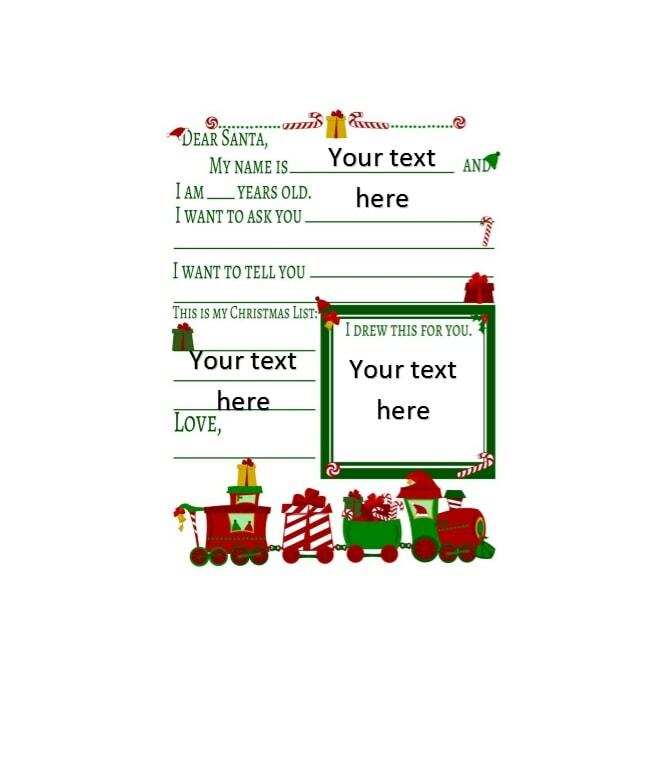 This is very useful especially when it comes to people who seem to already have everything or people you don’t know as well but would like to give presents to. 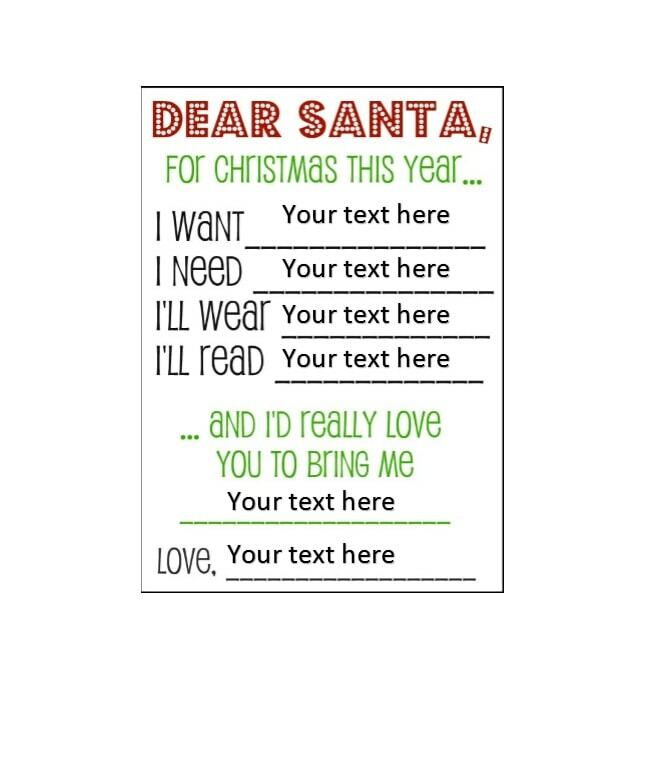 It works both ways – you can also write what you want on the list and other people will know what to get for you on Christmas! 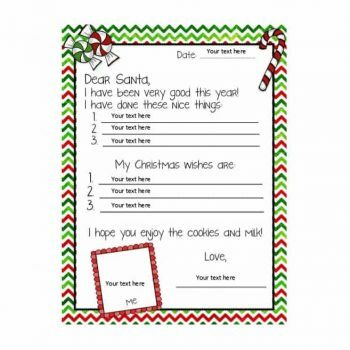 We all know that Christmas shopping is fun, but it can also be tedious and time-consuming. 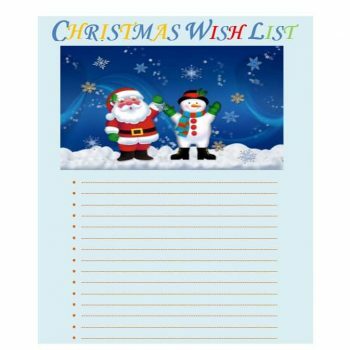 Having a Christmas wish list would give you enough information to start looking for specific items, which happen to be on the list. 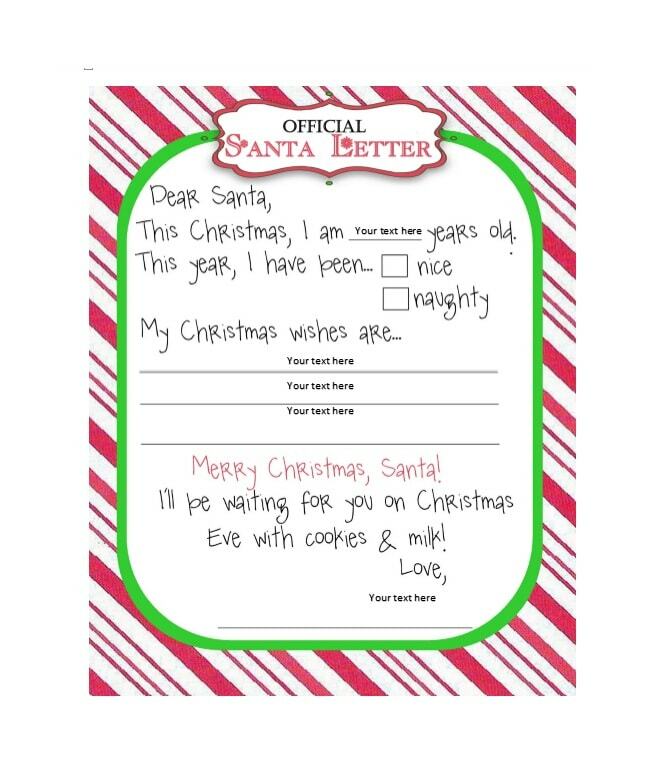 This would save a lot of time and effort especially when Christmas time is already near. 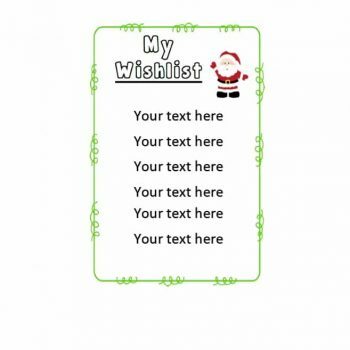 It would also save you a lot of money because you are sure that you won’t be wasting money on things which the people you give to would neither want nor need. 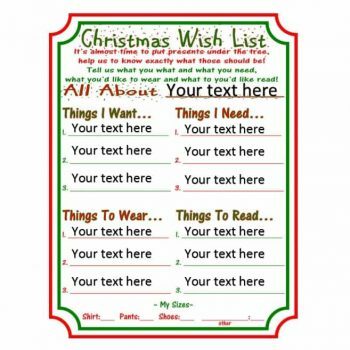 When you are Christmas shopping, you would most likely be tempted by the hundreds of items you would see on the shelves. You might start buying things on a whim or buying an excessive amount of items even if you know that you don’t really need these things or you don’t know who to give them to – they just look good on the shelves and would seem fun to acquire. 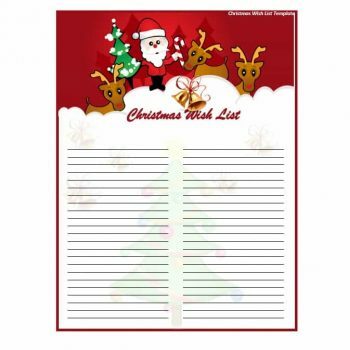 Christmas is one of the most fun times of the year and when you start giving out a Christmas list template the mood immediately rises along with the spirits of everyone who are to sign them. When people start thinking of what they want and they start to expect and hope to receive these gifts, the spirit of Christmas spreads faster than wildfire. 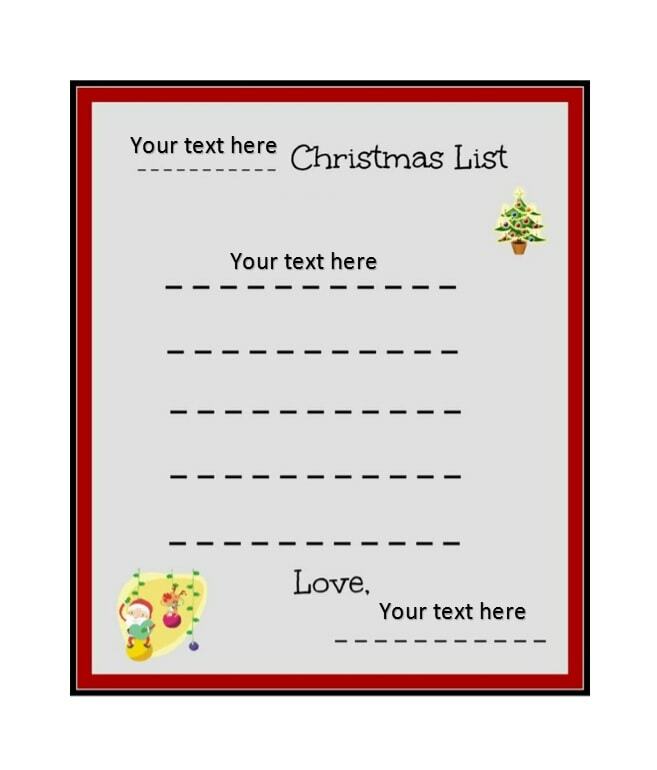 Further into this article, you will learn how to make your own template (if you choose not to go with a printable Christmas list which can be found online) and you will see that it’s actually a lot of fun! Once you’ve created it and you’re starting to fill it up and let others fill it up, it’s like the fun just keeps on going. 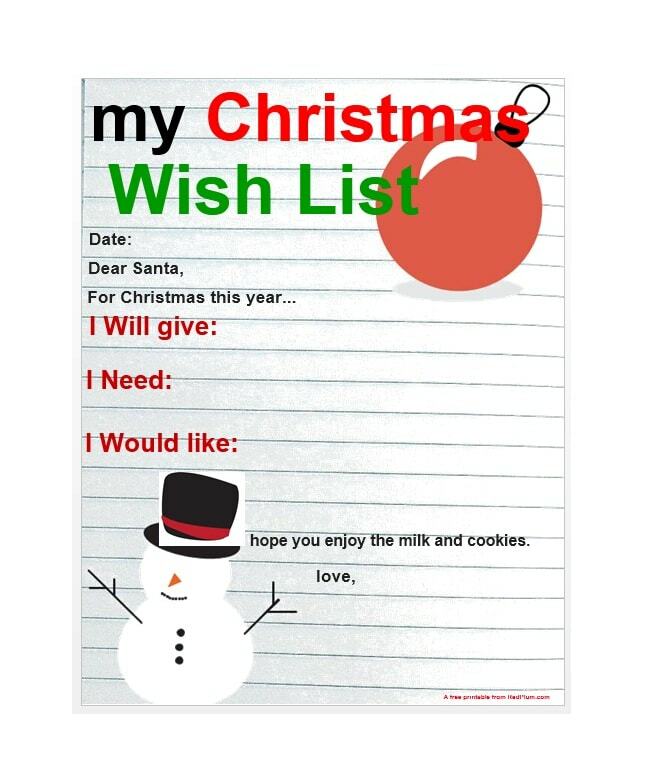 There are a lot of benefits to making and using a Christmas wish list. 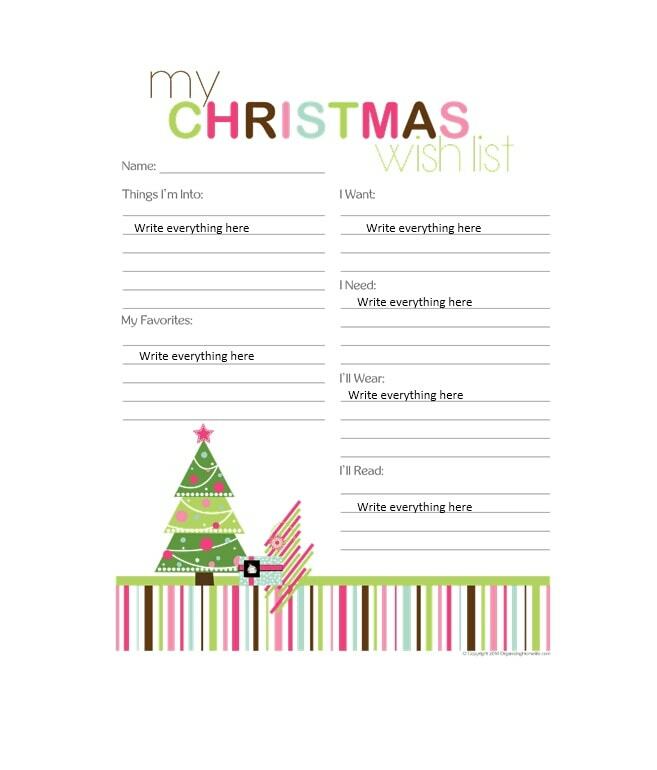 Not only that, but there are also many different kinds of wish lists you can create. 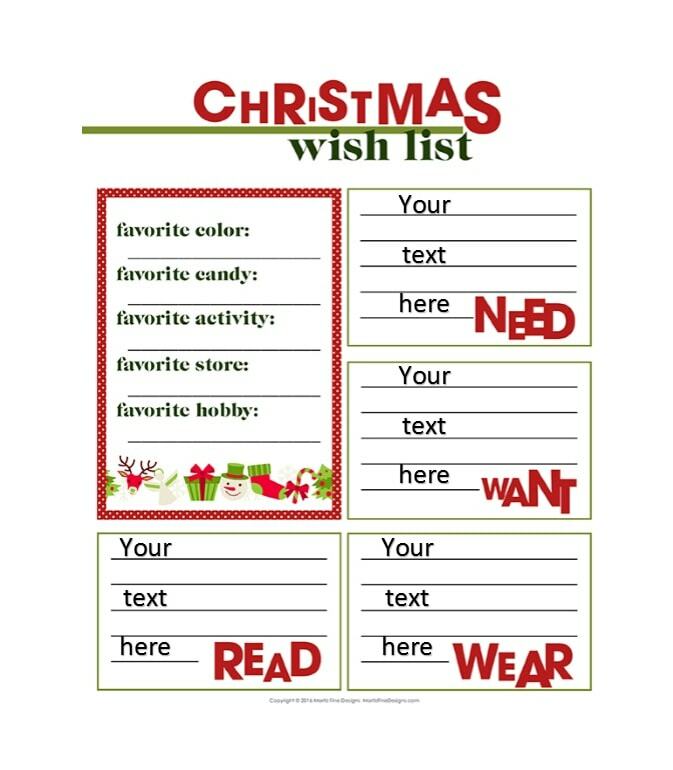 Read on to learn about the different kinds of Christmas wish lists. 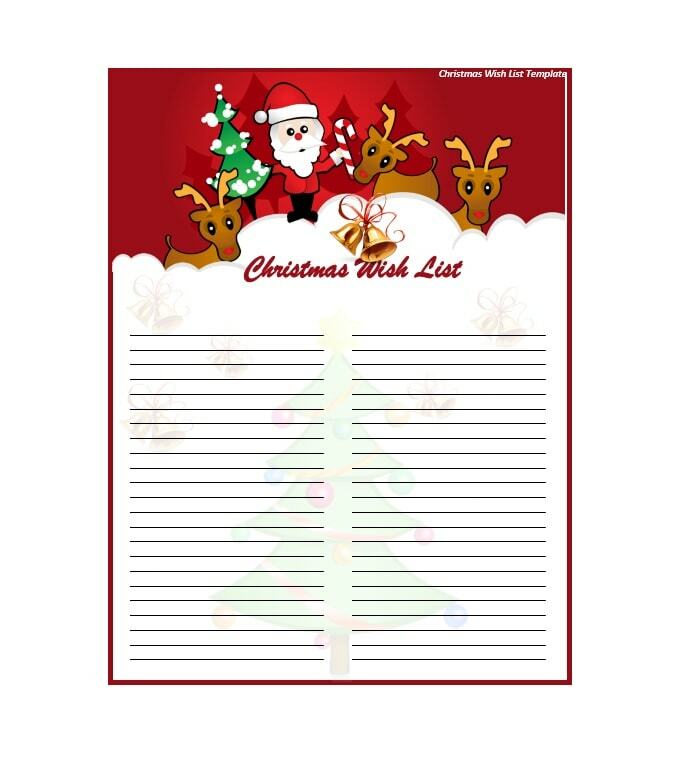 Knowing the benefits of making a Christmas wish list template is great but it would also be very helpful to learn about some of the different kinds of Christmas wish lists. 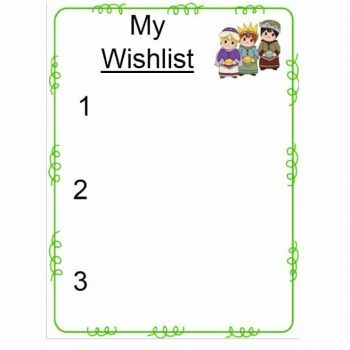 When you are planning to make one, you have to consider who you will be using the wish list for. 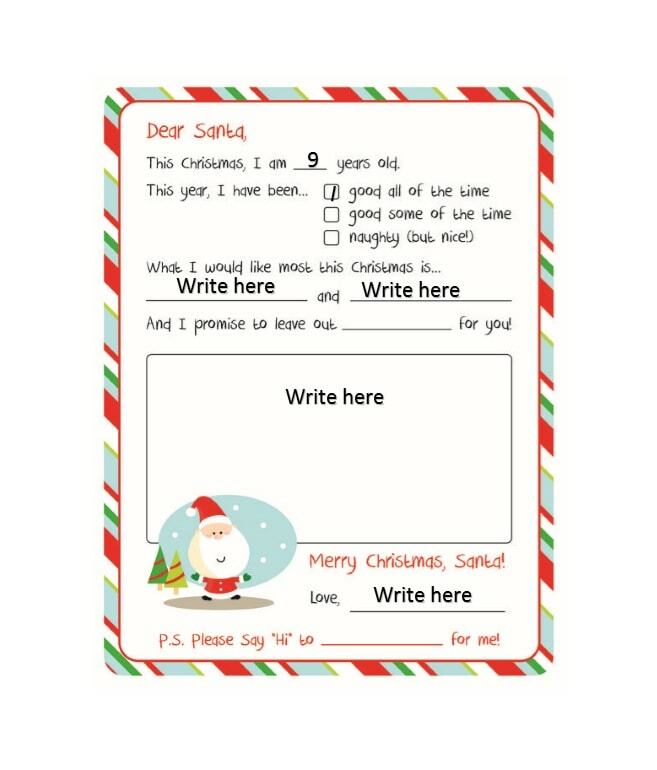 Of course, since toddlers and babies could not write yet, these kinds of lists would be simpler, with a few cute graphics and would be filled in by parents. 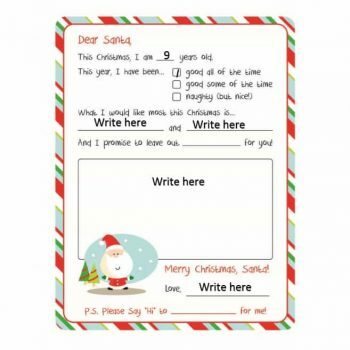 To make it more fun and personalized, you can place the child’s hand or footprint at the bottom as a sort of signature. 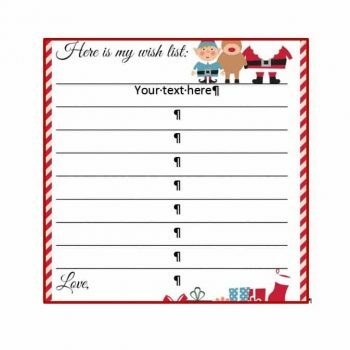 These kinds of wish lists would contain a lot of colorful and attractive graphics to keep children interested in filling them out. 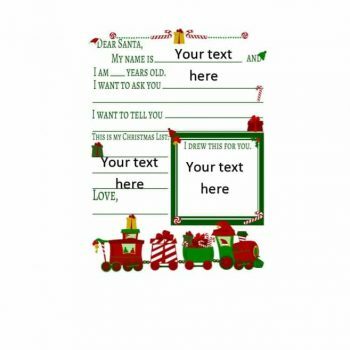 Either that or it could have pictures which they can color in which would also be fun for them. 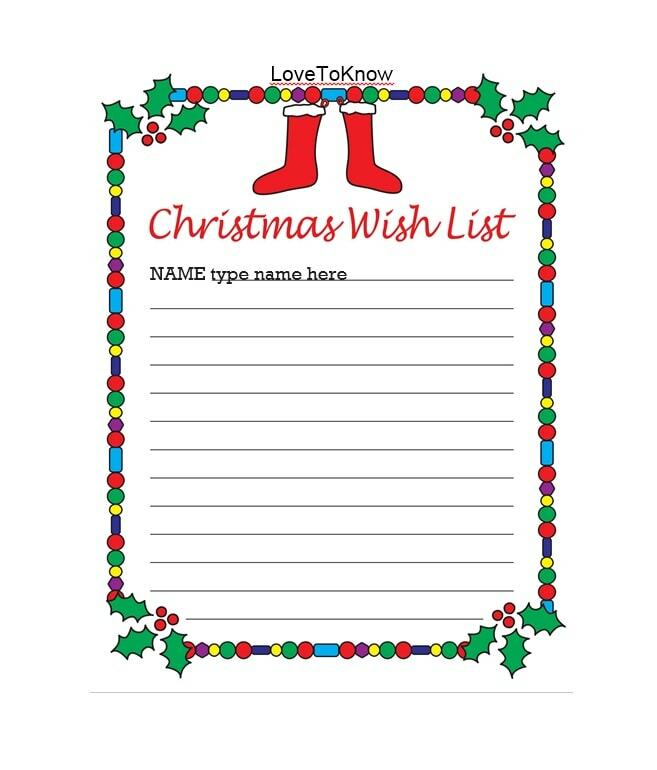 Children can write their names on this kind of list then write down what they want for Christmas. 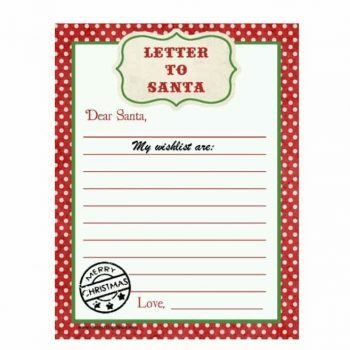 These kinds of wish lists can be more mature and sophisticated while still remaining fun. 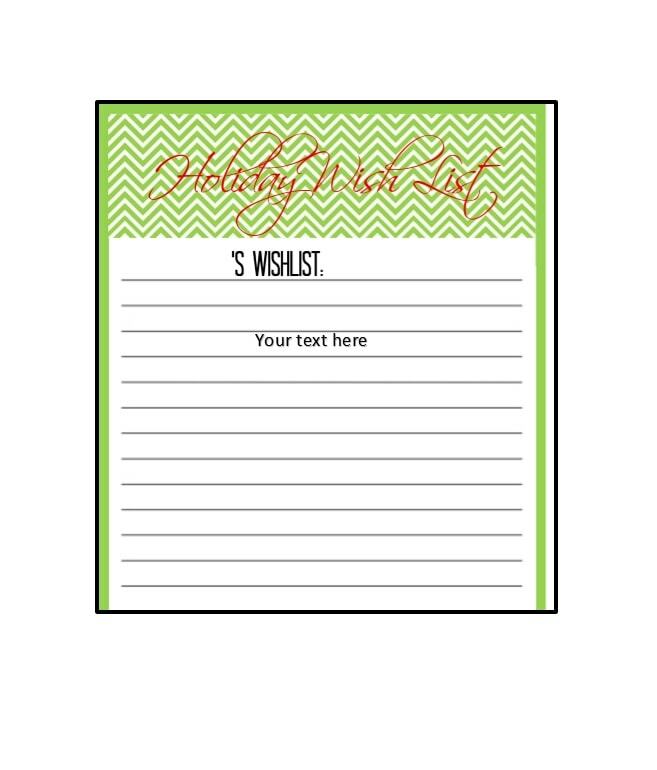 These wish lists would be very beneficial as it can be quite challenging to find the perfect gift for teenagers and young adults. 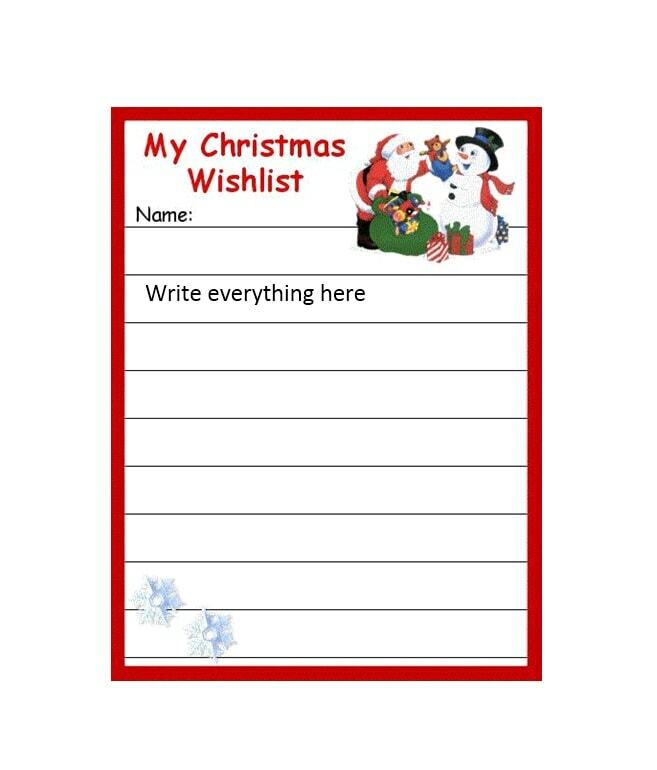 Having them sign a Christmas wish list would also make them more excited about the prospect of celebrating Christmas and the holidays in general. 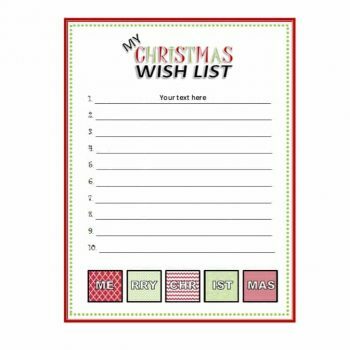 For these kinds of wish lists, you can either make them elegant and professional or fun and quirky – depending on the situation. 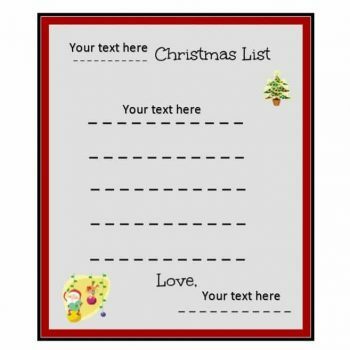 Christmas list templates for the office would most likely be more elegant and sophisticated while those which you plan to pass around to your family or relatives could be more customized and fun. It all depends on what message or impression you’d like to convey. 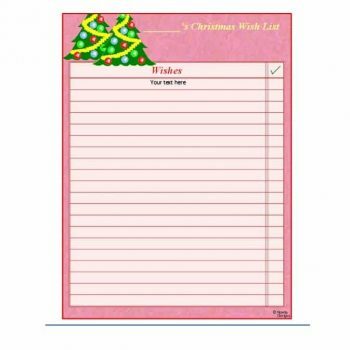 These are the kinds of wish lists you can create on your own software or you can also go online to find a printable Christmas list which would suit your needs the most. 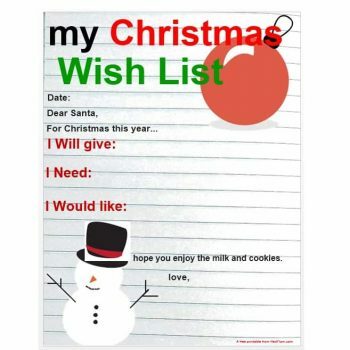 Before moving on to actually making your own Christmas list, let’s look at some ideas for making Christmas wish lists. 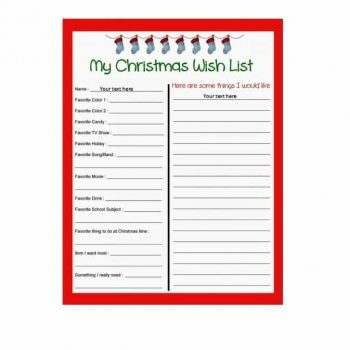 The benefits of making Christmas wish lists, as well as the different kinds of information, are good to know, especially if you’re planning to make your own and start a tradition at the office or even with your family. 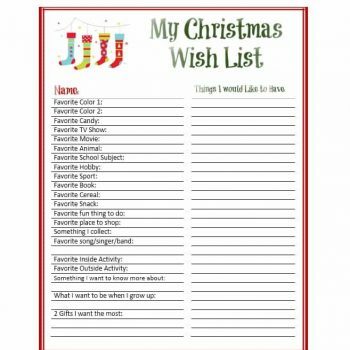 Here are some ideas on making Christmas wish lists which are quite interesting or which you may have not even thought of before. 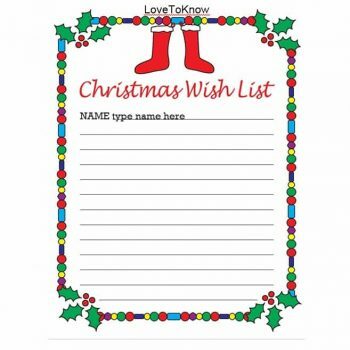 In situations where you don’t know the person as much and during the conversation he/she asks what you would like for Christmas, then you can just give a verbal account of what you want. 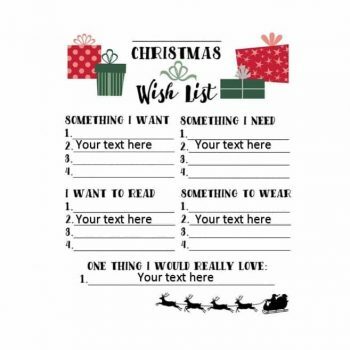 This won’t work when asking for information from a number of people as you may not remember everything they say, which makes a written wish list very useful. 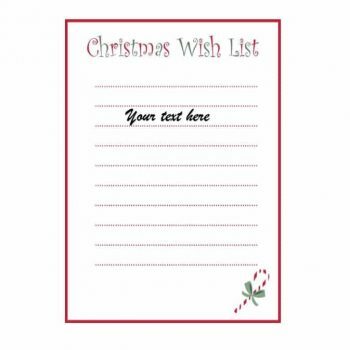 When you fill in a wish list, you can write down a number of items or choices so the people who are reading them won’t have a hard time finding you the perfect gift if the one you wrote down cannot be found. 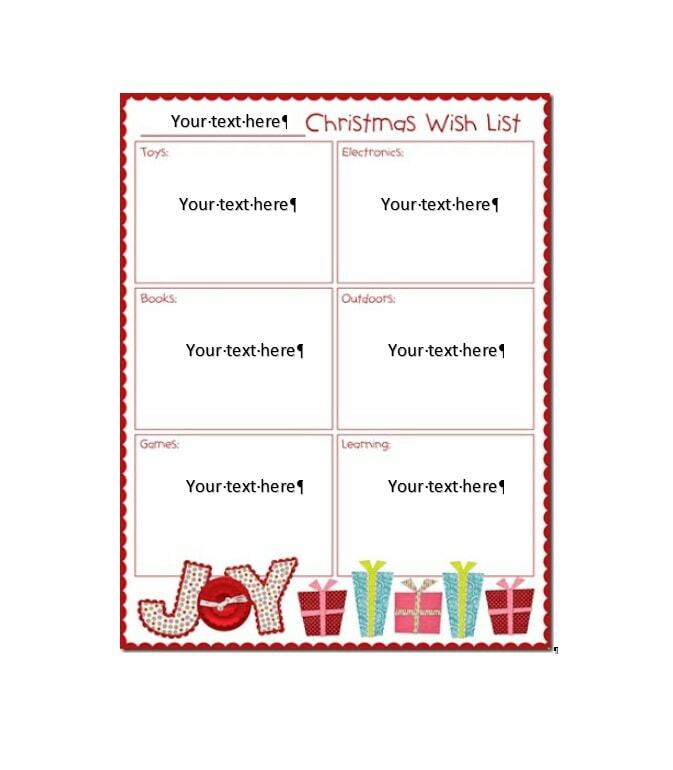 This would make it a lot easier for gift givers and it would save a lot of time and efforts too. 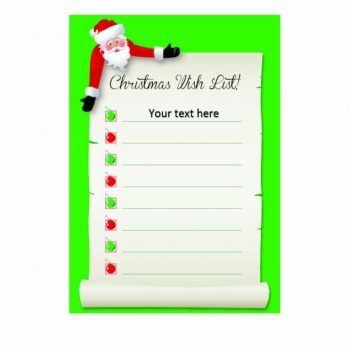 If, for some reason, you don’t want to receive any gifts (yes, some people are like that), you can make a Christmas wish list which says, “no gifts” and instead asks the givers to make a donation to a charity as their gift to you. 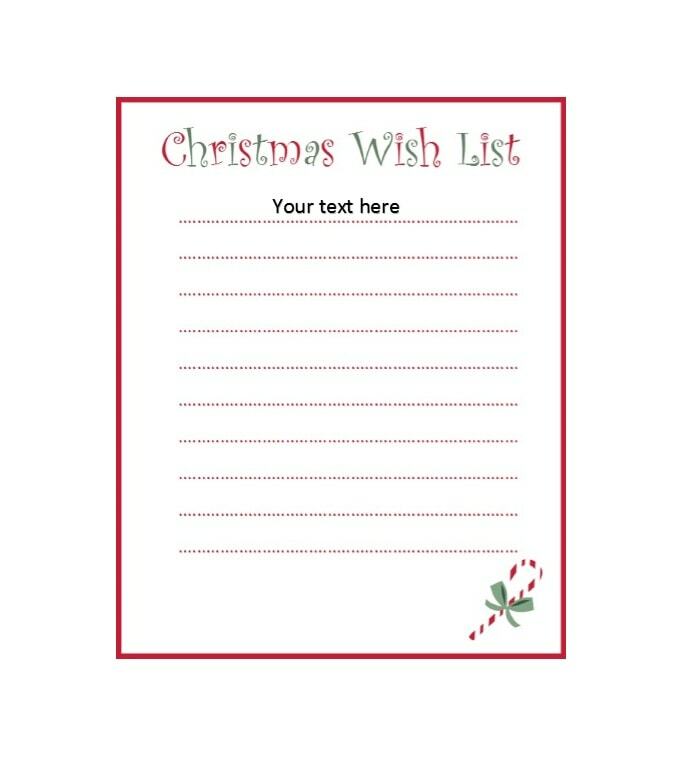 You may have put in a lot of effort into making a Christmas wish list but you don’t have to pass your list around to everyone you know – it just doesn’t give a good impression! 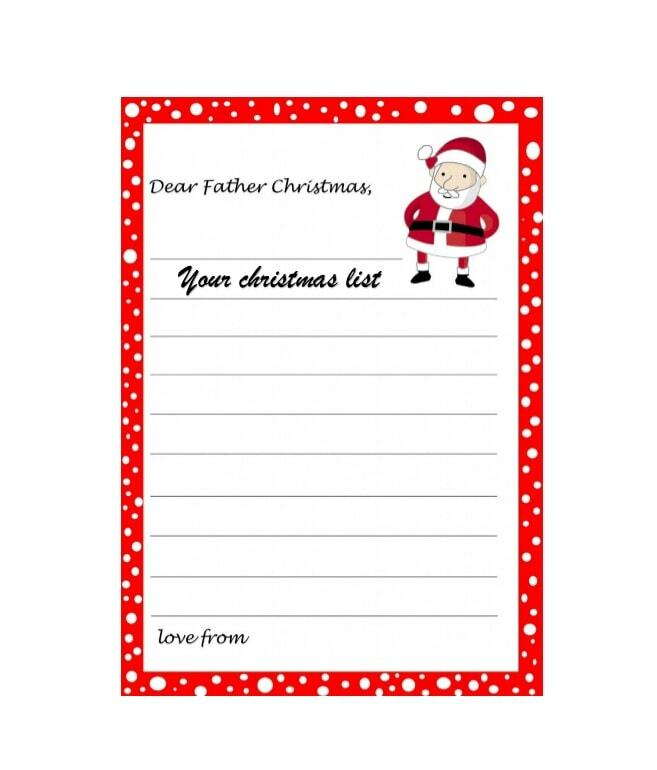 You can pass your list along to people you are close to, such as family, relatives, and friends or at the office but make sure that you pass it to everyone. 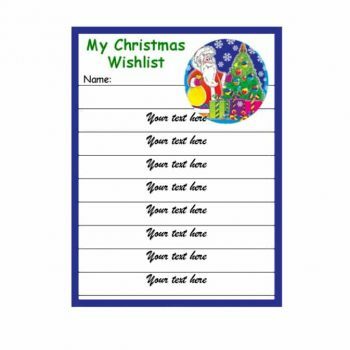 Giving a list of your own wants may come across as tacky and might not give a good message to other people, even to those you are close to. 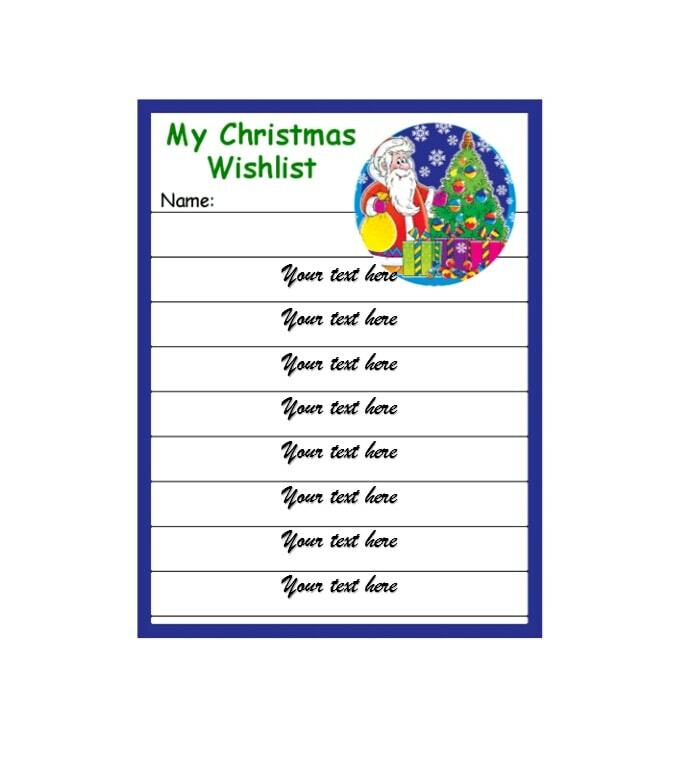 When someone asks for a list of things you want, then by all means, give it out. 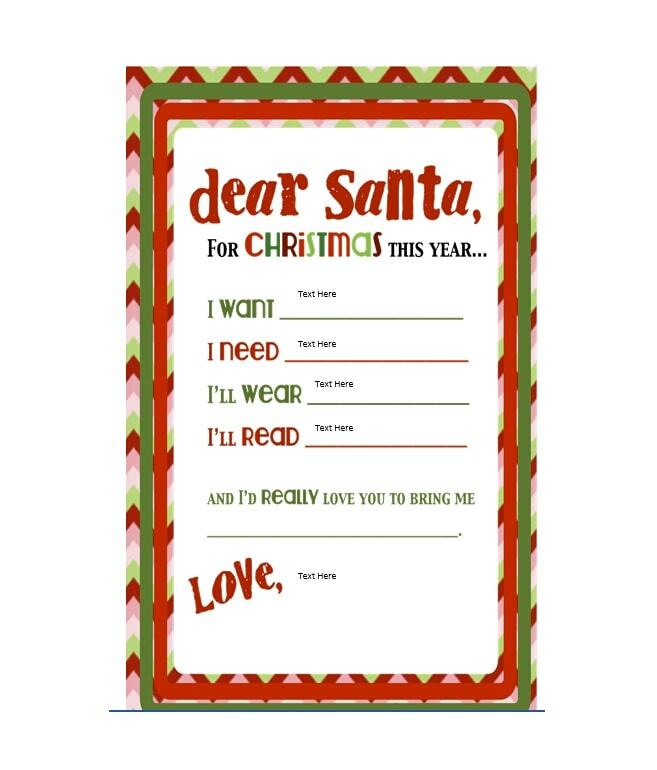 If not, you can start the conversation, suggest the concept and see if everyone involved is on board with passing around a Christmas list. There you go! 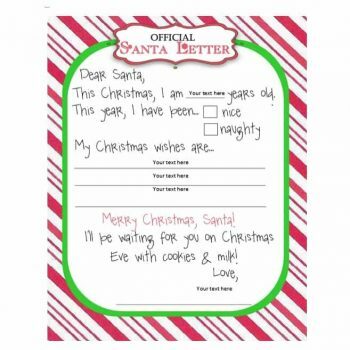 Some ideas for successfully making and using a Christmas list. 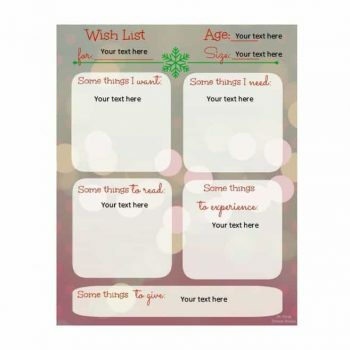 Now let’s move on to the best part – making your own template! 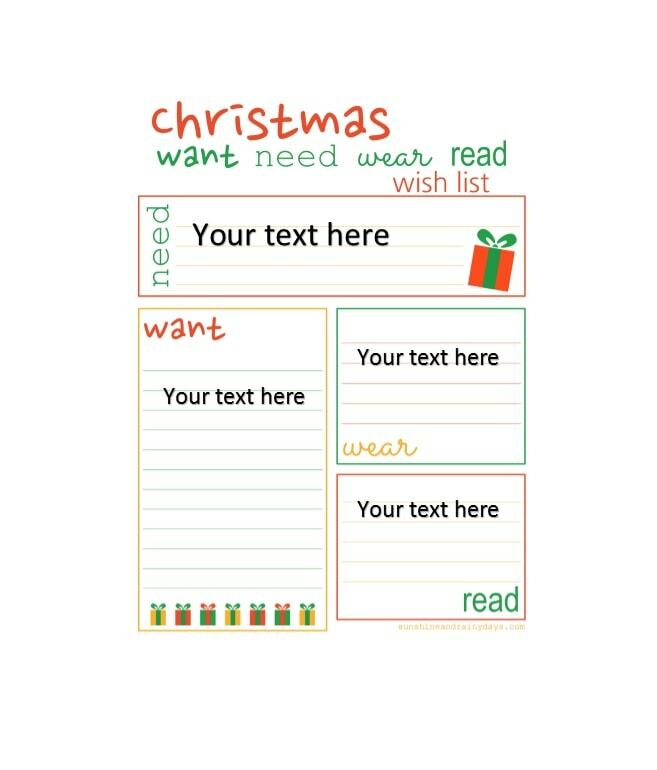 Now comes the fun part – actually learning how to make your own Christmas wish list template. 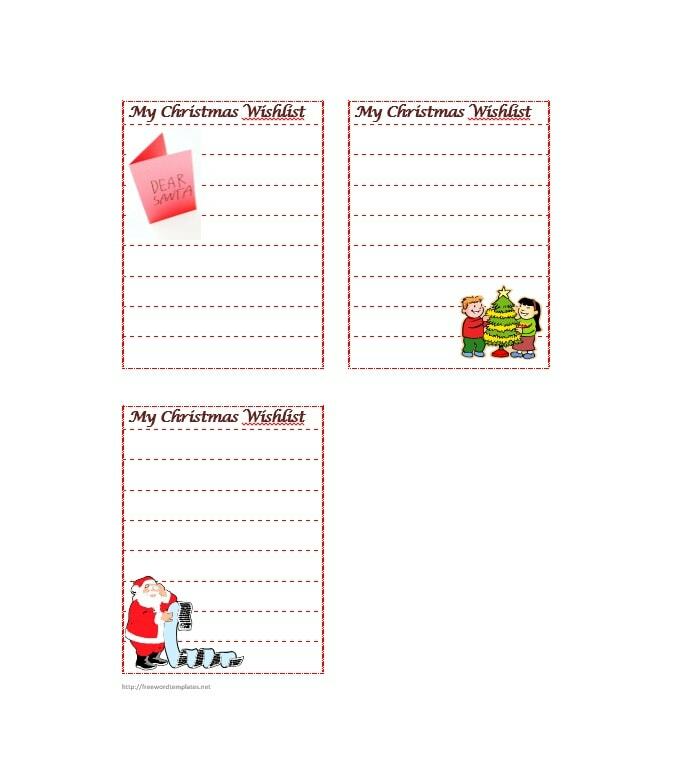 Following these steps would be very helpful if you’re planning to create a template of your own rather than downloading a printable Christmas list online. 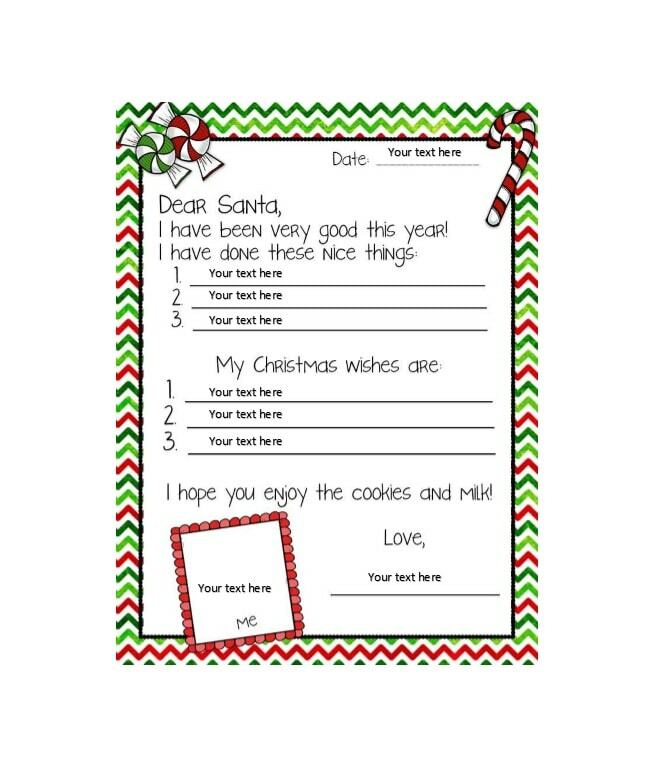 Be sure to start designing your list early. 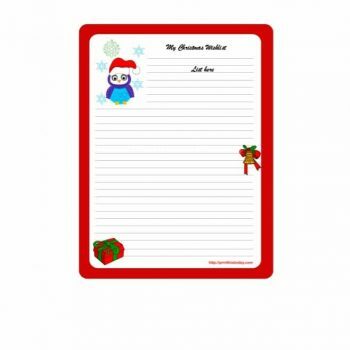 Don’t wait until Christmas is right around the corner before you start planning your gift giving. 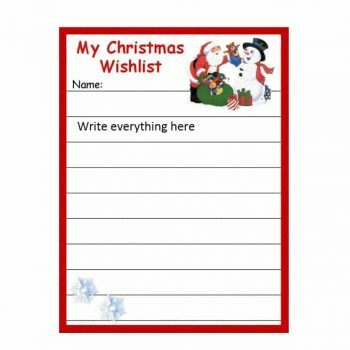 Also, when you start early, you will be able to have a good idea of what gifts you are to get and what budget you may need to have to acquire all those gifts. Open software of your choice and format the page. 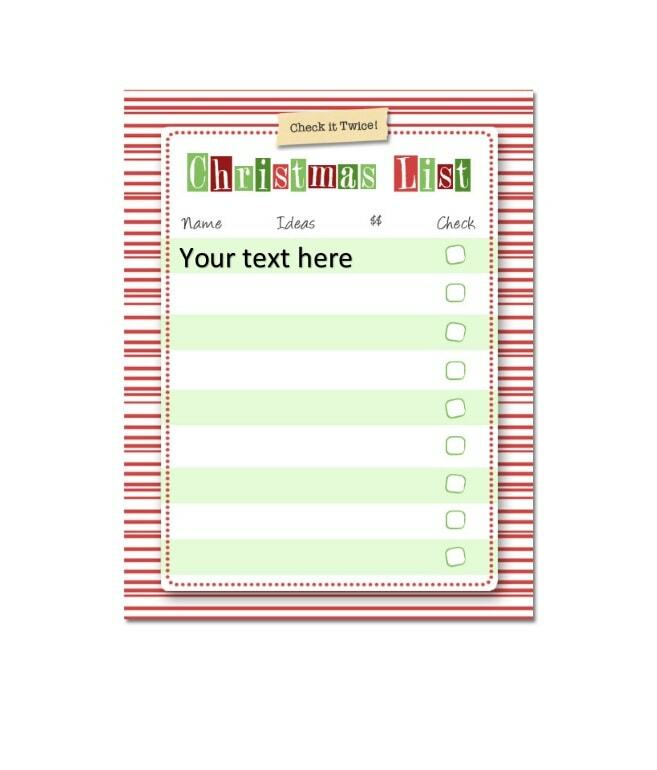 Set the margins and decide which font you would want to use for your Christmas list. There are tons of free fonts online and ready for download. 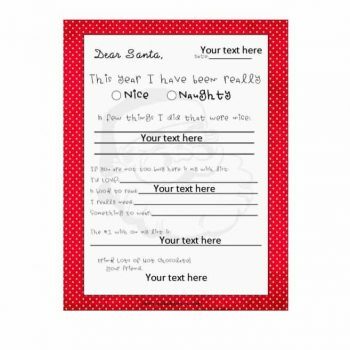 You can try finding some Christmas fonts to liven up your list. 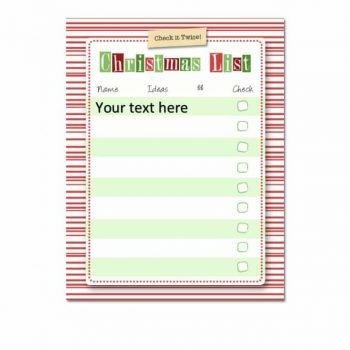 The next thing you need to do is to find the perfect border for your template. Again, you’d have to search for free graphics and borders online. 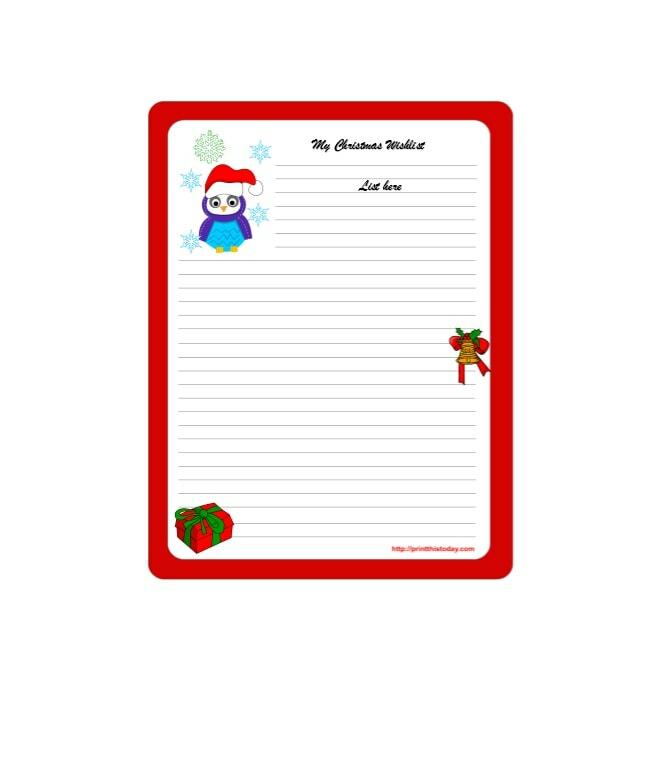 You can go to any search engine and type in “Christmas borders” or “Christmas frames” and find the one which you like the most. You then have to open the image, copy it and paste it on your page and resize it. Once your page already has a border and the fonts and margins are set, you can place your title at the top of it. 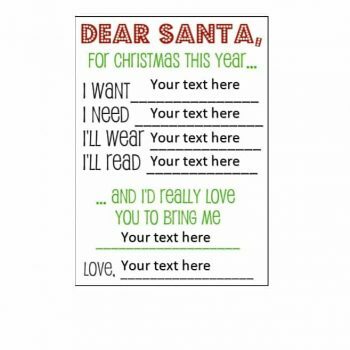 It could read “Christmas Wish List,” or something more fun you can think of. 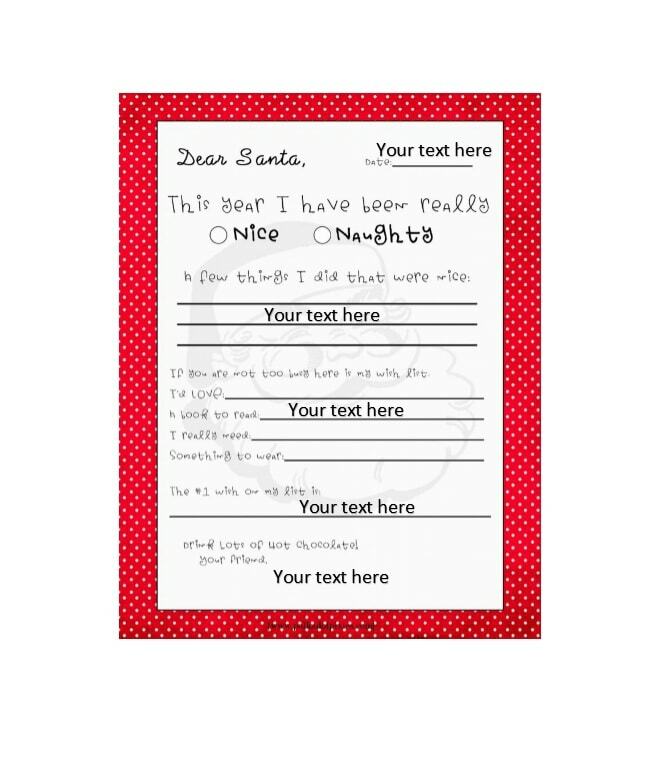 Then below the title, you can either place some blank lines for people to write what they want or a table with a column for the names and a column for the gift/s desired. 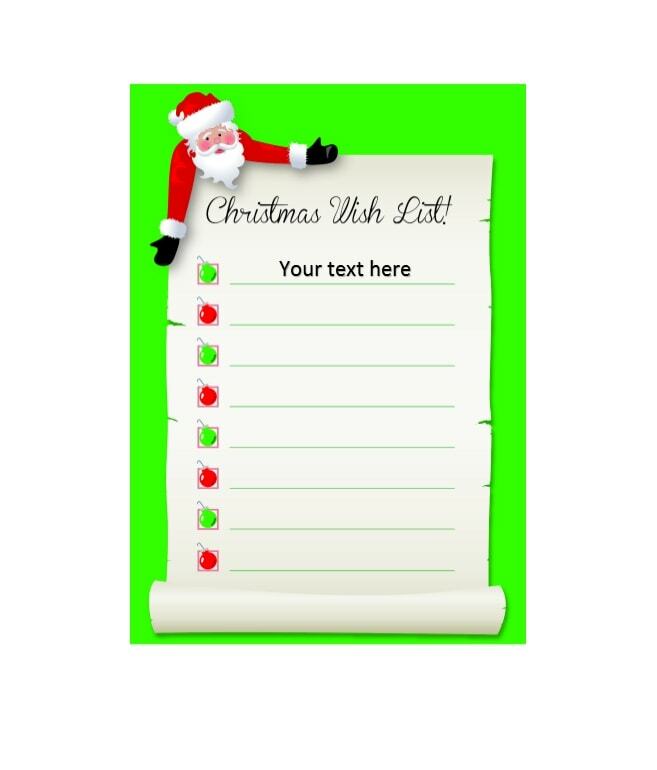 It’s up to you really, how you would like to present your wish list template. 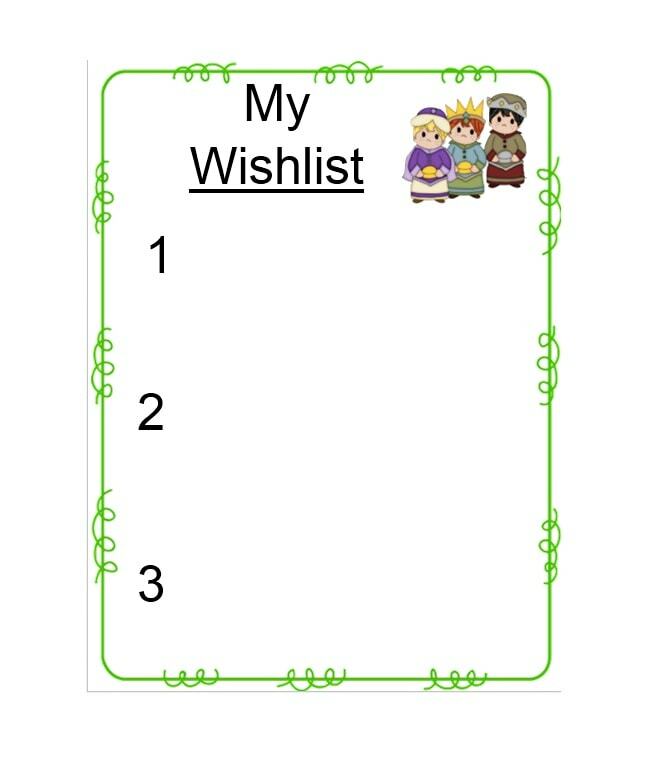 When that’s done, you can start adding in graphics to your wish list. 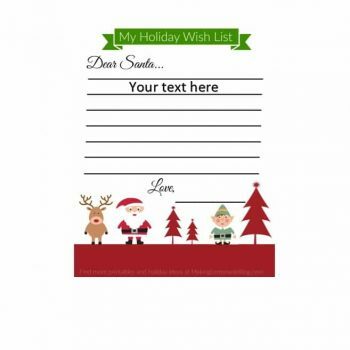 There are a lot of Christmas graphics available online such as Santa graphics, holly, bells, Christmas trees and such. All you have to do is search, copy, paste, and place. 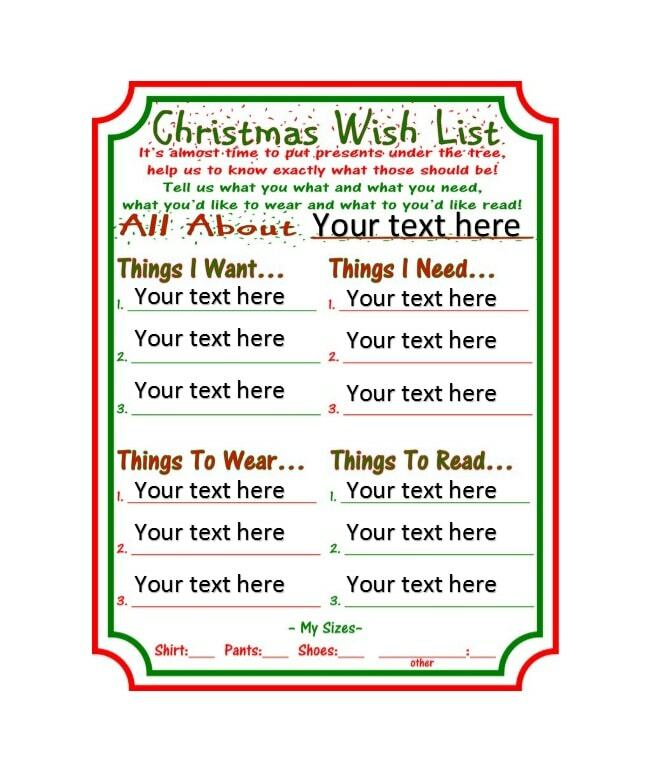 Once you’re done and you’re happy with what you’ve created, print out your Christmas wish list and pass it around! Easy, isn’t it? 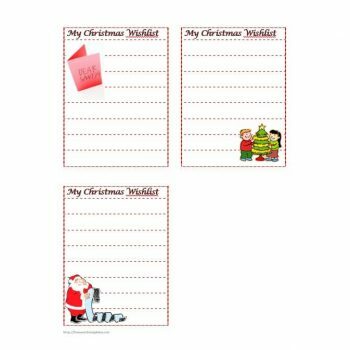 Making your own template can be a lot of fun and while you are making it, you will definitely be feeling the spirit of Christmas creeping in. 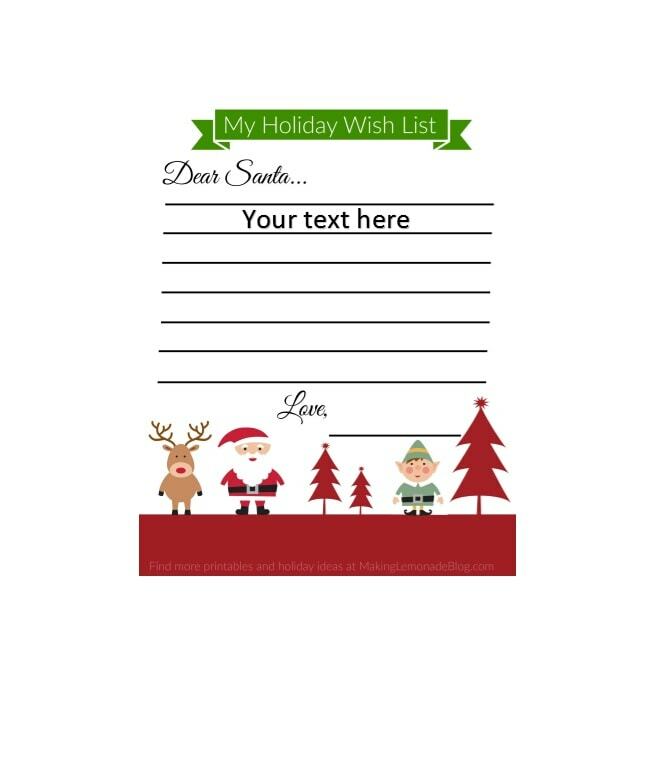 While you now know how to make a template, let’s also discuss how to fill in a Christmas wish list. 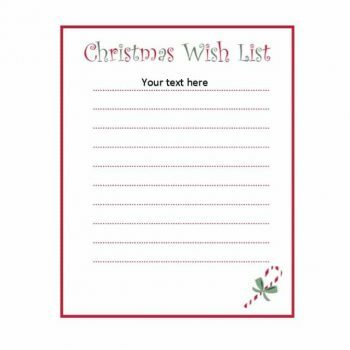 When someone hands you a Christmas wish list, you should already have a good idea of what you’d like to write down. 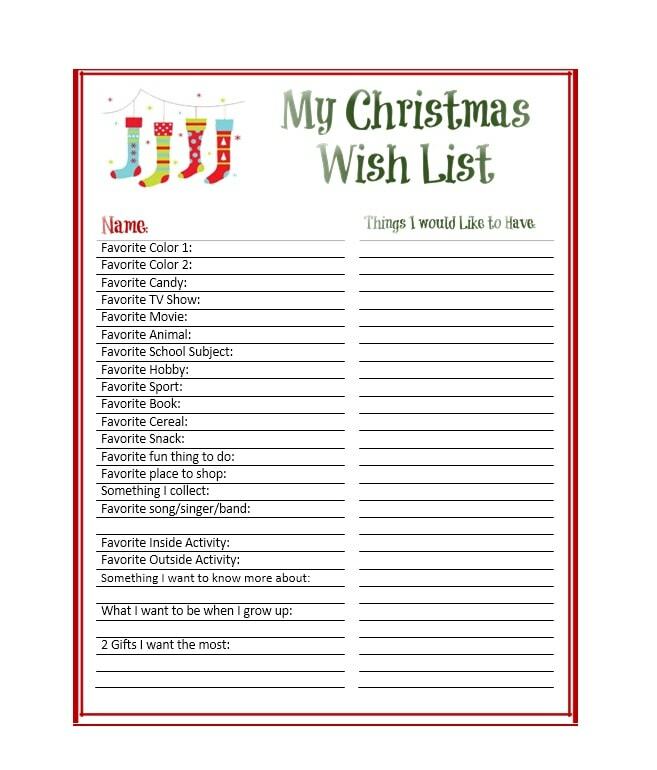 Here are a few tips to help you think about what you would want to write down in case a wish list is given to you. 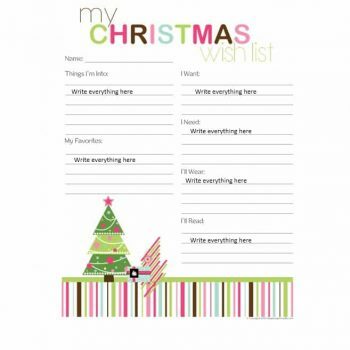 Make a list of everything you want and everything you think you need – as in every single thing. Think of everything and list them all down even if it takes some time. 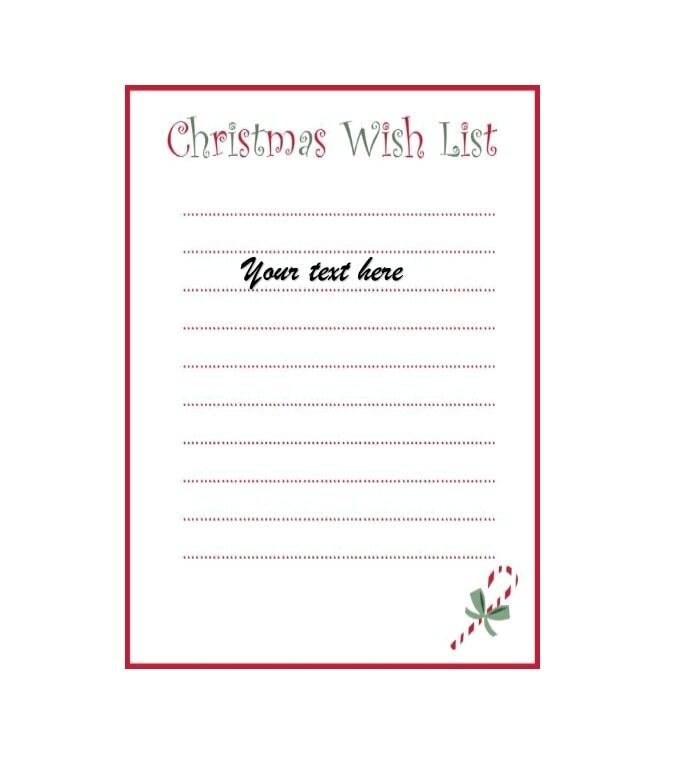 No matter how much or how little you may want something, write it down and you can eliminate some of your options later. While doing this, you can consider what you are actually interested in as well as your hobbies. If you’re the sporty type, maybe you can include some sports equipment. Or if you’re a techie, you can ask for gadgets or accessories for your existing devices. A lover of music? Ask for an IPod or a subscription for ITunes, Spotify or something similar. It all depends on you. Not only what you want, but what you need is also of importance. Do you have some items in your wardrobe which you’d want to replace or something essential which has already been worn out or destroyed? 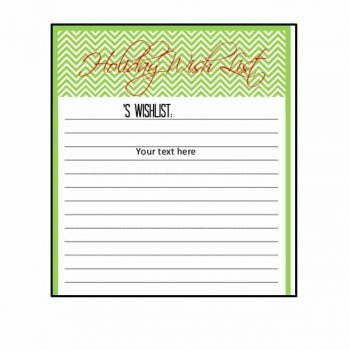 Then you can list these items down so that you don’t have to worry about buying these items yourself. Also, try to consider luxury items which you won’t normally buy for yourself. You can take this as an opportunity to ask for things which you’ve wanted for a long time now but which you’ve never convinced yourself to get. These are usually things which you definitely don’t need but would enjoy having. 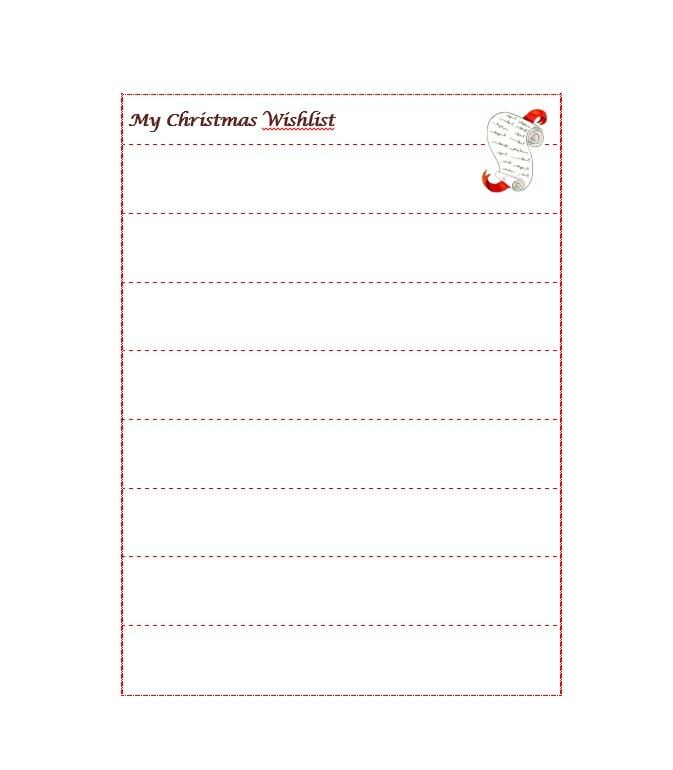 Once you’ve written everything down, you’d probably end up with a very long list of items. 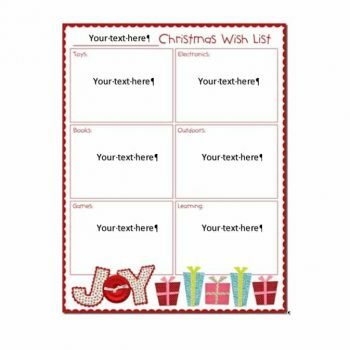 Now comes the hard part – narrowing down your list. 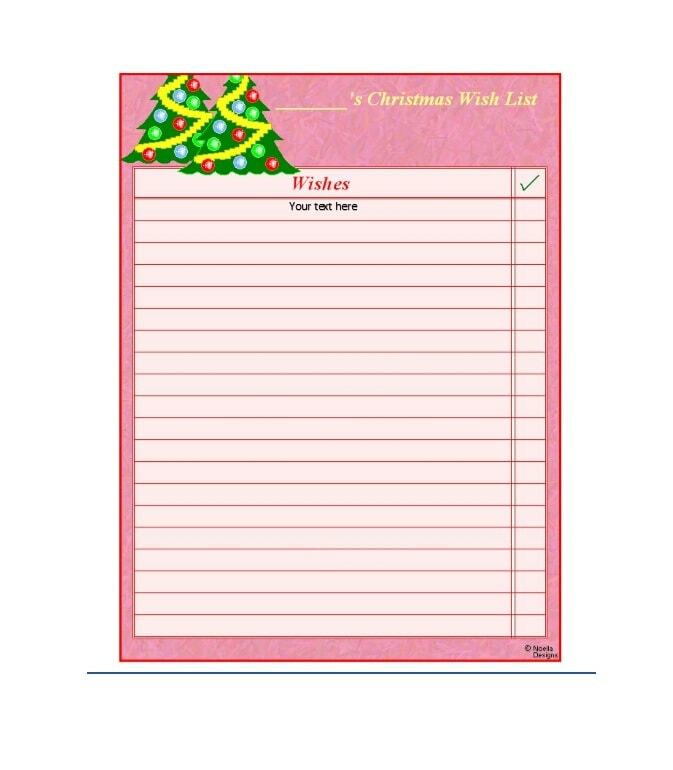 This is the time when you would have to think and rethink the items on your list. If you think these items aren’t really that important or you don’t really want them as much as the others, then you can take them off your list. Do your research on the items which you have left behind. 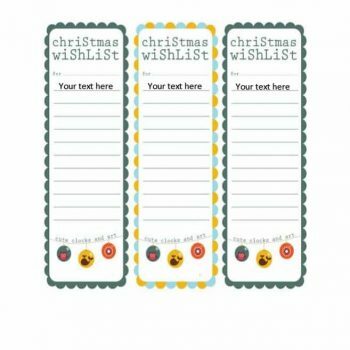 Research on the prices of the items, where they can be bought and all other relevant information which can be useful if the gift givers would ask you questions about what you’ve written down on the list. 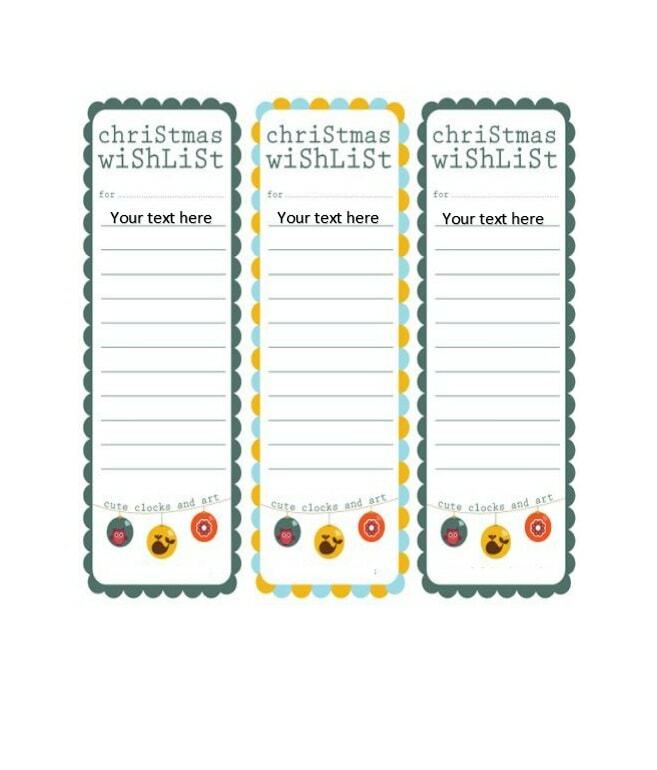 Create your own personal Christmas wish list. To make it more convenient for people you plan to give it to, add in the useful information you have researched along with all the details about the items. 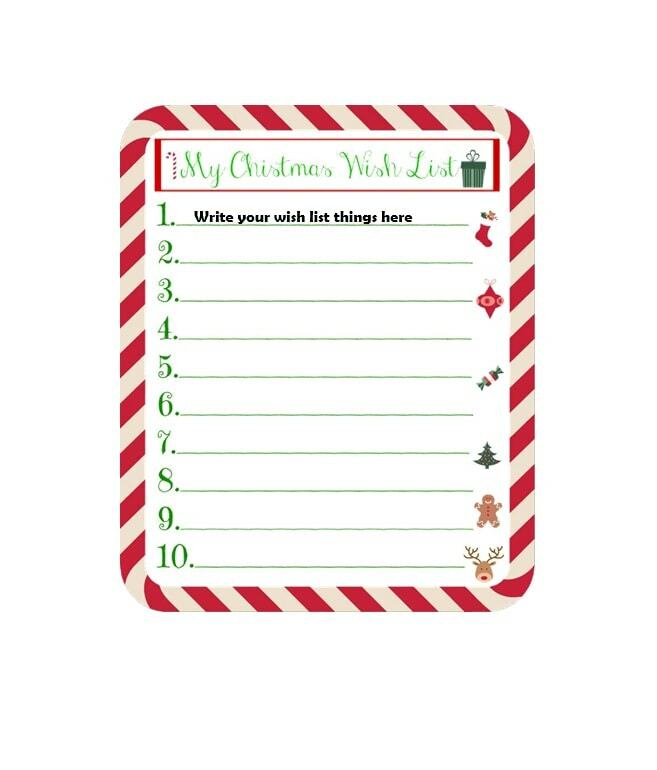 Take one last look at your list, input it into the computer (on the template you’ve made) and start giving it out to those who ask for it! 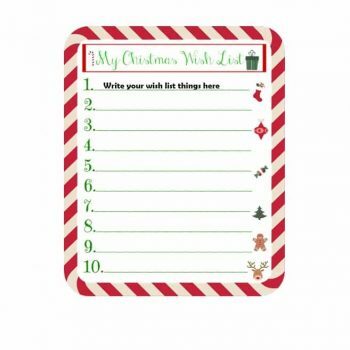 Making a list and filling up a list are two very different things but are equally fun to do. 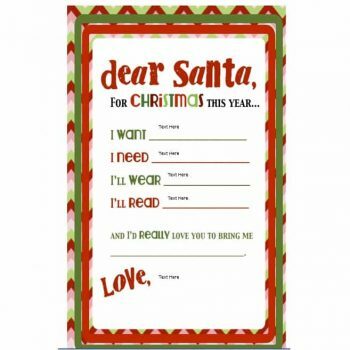 But you don’t have to stick to traditional Christmas wish lists. 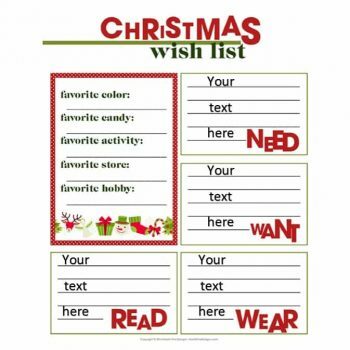 You can do other things aside from filling out a wish list and exchanging gifts. 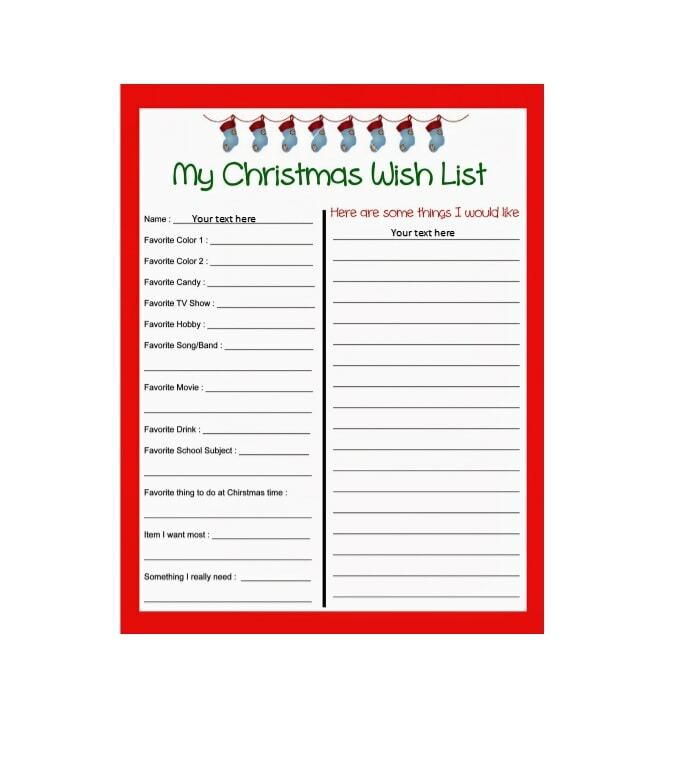 Visit an Orphanage or a Retirement Home: What better way to celebrate the spirit of giving than by making a Christmas list which would focus on what kids or aged people would need. 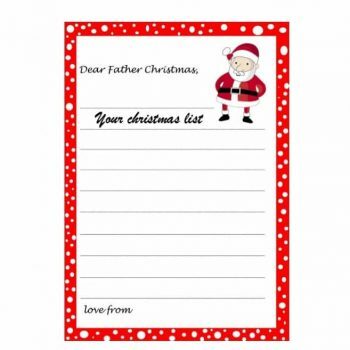 Once you’ve gathered the gifts, make a visit to an orphanage or a retirement home and share the joy! Help Out by Volunteering: You can also make a list of the needy people in your town and once you’ve collected enough, you can go to an institution (such as a soup kitchen) and volunteer. Once you’re done with the tasks, you can give out gifts as an added bonus.